All-Blinds is a reputable local business based in the Hertfordshire town of Bishop's Stortford with an established working relationship with major UK window blind manufacturers. Vertical and panel blinds simple yet stylish. The ideal solution for providing privacy and controlling light in a room. 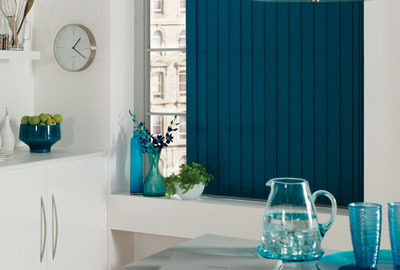 All-Blinds vertical and panel blinds are available in a spectrum of colours to compliment your room. We have specialist fabrics that perform a specific function such as solar reflective coatings to aid insulation, dim out fabrics to reduce glare for computer use, blackout fabrics, flame retardant and even washable fabrics. The versatile answer to shading your home or office. As a company we supply a complete, professional and personal service from the selection of fabrics and designs to the installation of your chosen made to measure window blinds in either your home or your work place. 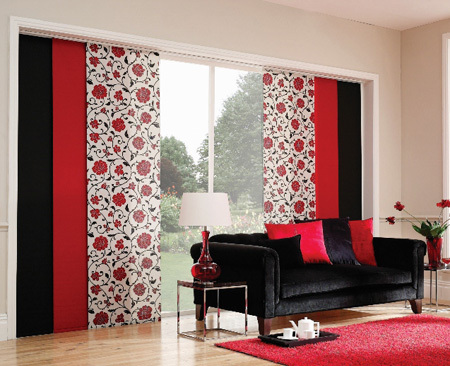 All-Blinds offer the latest fabric designs and innovation in blind systems for your home with reassuring quality and customer care. Here at All-Blinds we choose our manufacturers with great care so we can ensure that the quality of the blinds we supply and fit for you always meet our high standards. A few of these companies include Eclipse, Louvolite, Luxaflex, Decora and Santa fa. All-Blinds, although based in Bishops Stortford Hertfordshire we welcome and service customers throughout the county and parts of Essex. Towns and villages such as Sawbridgeworth, Broxbourne, Dunmow, Harlow, Hoddesdon, Hertford, Puckeridge, Standon, Much Hadham, Stansted, Epping, North Weald, Ware, Nazeing, Saffron Walden, Cheshunt and Buntingford. This list is not exhaustive so please do ask if we cover your area - it's likely that we do! W.L. 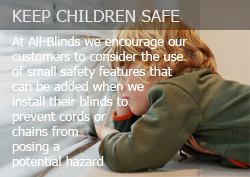 All Blinds Ltd. Is accredited to the British Blind and Shutter Association “make it safe” campaign for 2014.